Several years ago, I came to the conclusion that no form of government could limit itself sufficiently and therefore there is no hope that a geographic monopoly on the use of force with the right to demand taxes under threat of violence (ie., government) could result in a free and just society. For example, I could see the futility of restoring the US Constitution since that is the document that led to this state in actuality, whether the document is ideal or flawed. I then came across a book, Democracy the God that Failed, by Hans-Hermann Hoppe, and was shocked and exhilarated to find he had the same idea (his final chapter being called “The Impossibility of Limited Government”), and he had much more to back it up than my musings. Once I realized this truth, I was convinced that people just didn’t see it–they were duped and if they could be made to understand they would reject this system of violence and exploitation in favor of a libertarian anarchy of private law and it’s resultant order and peace. After a few years of proselytizing, I concluded that people aren’t being duped by the system, they are buying into the system, usually compromising objective principles for mere scraps. So my inquiry evolved into, What is wrong with people?? Why are they like this? And concluded there is no hope for a just and peaceful society if the vast majority of people don’t want it. Krishnamurti, a philosopher of Indian origin and tradition, attempts to answer this question. His claim is that we are all operating with the sole focus of the self and its context in time and place–this results in competition, conflict, and the constant promotion of one’s own self over all others, even those closest to us. He further claims, as does the Dalai Lama and many others, that the only hope is the internal transformation of individuals, and finally he seems to believe that this may be possible to a great enough extent to change society. Krishnamurti offers as a “fact” that ALL institutions are designed to exclude others and provide a group through which individuals feel better able to dominate those outside the group (or maybe even those within it). He rejects the state and religions in the same breath, not drawing the crucial distinction between physically forced participation (as in the state) and voluntary participation (as in religions), as I always have. He may be right in that most people voluntarily buy into the state for the same reasons they buy into religions, and that the source of this buy-in is the same in both cases and that this is the fundamental sickness that leads to evil, hatred, war, injustice, or even merely the continuous serving of the self above all. 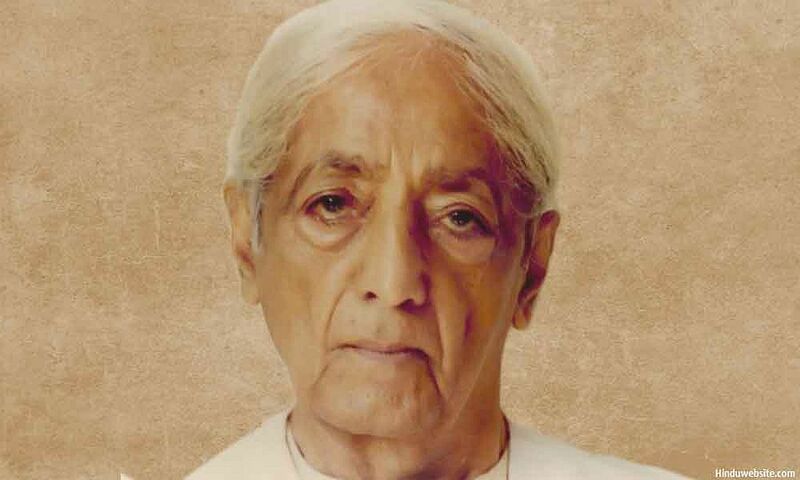 Krishnamurti exhorts us to become aware of the activities of the mind–not to become introspective, not to condemn or to judge, but simply to become aware of the mind and the origin of the thoughts. He claims that this awareness itself changes the process and the mind can no longer engage in its self-centered machinations. I tried to be “aware” in this way for a couple of days and found both that it is possible and that it was heading toward Krishnamurti’s promised “liberation,” but it took such a tremendous amount of concentration that I question whether self-supporting people can really do this and still function economically. I am still trying to determine if I believe his solution is the only solution (and I’m leaning toward saying that I do) and am also trying to determine if it could actually happen (and I’m leaning toward thinking that it can’t). If you are ready to really think, this book is worth reading, regardless of your ultimate conclusions.